The global economy is right on the precipice of a monumental shift in the credit system. This pivotal change signals the end of current monetary structure and ushers in a new system. The Dollar Era is dying, and the last few breaths will mean disaster for savers – protective measures must be taken by every astute investor. The most prolific action to take will be to capitalize on the chaotic circumstances in the paper currency market and the opportunity it presents for precious metals. The most incredible gains will be found in gold and silver stocks, and after researching more than 758 companies and the overall state of the market, we consider the upcoming period as the Golden Ticket to riches. This Special Report details exactly how to be extra protected from the crisis ahead, and exactly how to position your portfolio for life-changing gains in the immediate future. 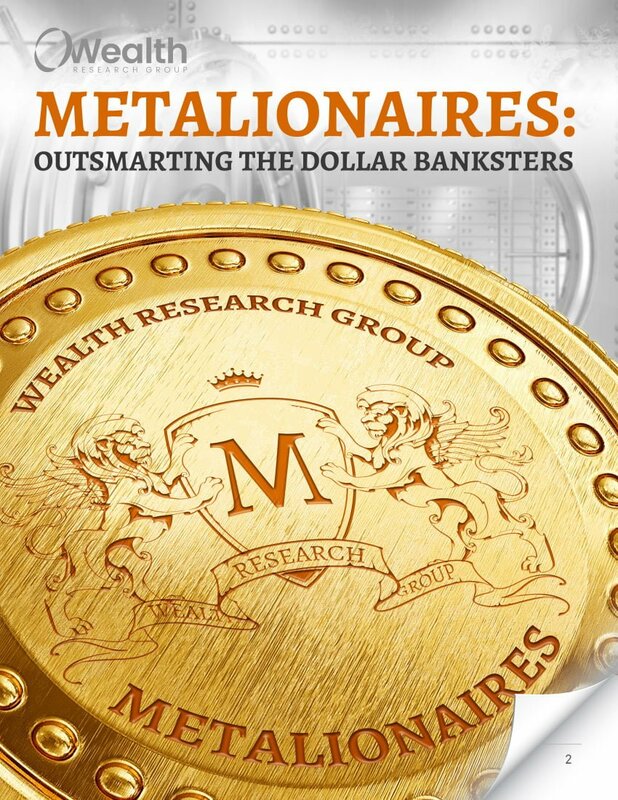 Download Metalionaires: Outsmarting the Dollar Banksters now And receive important wealth updates!